After safe passage down the Musi River, my new friends and I disembarked at Kemaro Island ready to explore the Chinese-Buddhist island for the first time. Though Chinese New Year had passed already, many visitors dotted the island, taking photos in front of the various small temples or stopping to enjoy a young coconut near the riverbank. 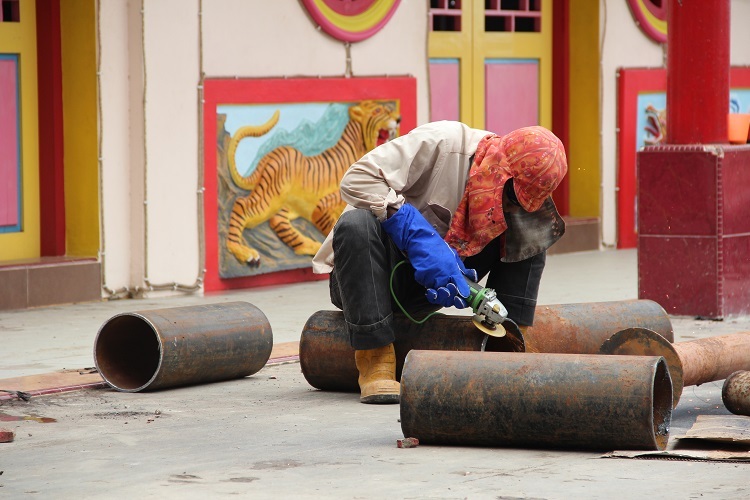 A man shaves metal pipes in front of one of Kemaro’s structures as part of a reconstruction effort on the island. 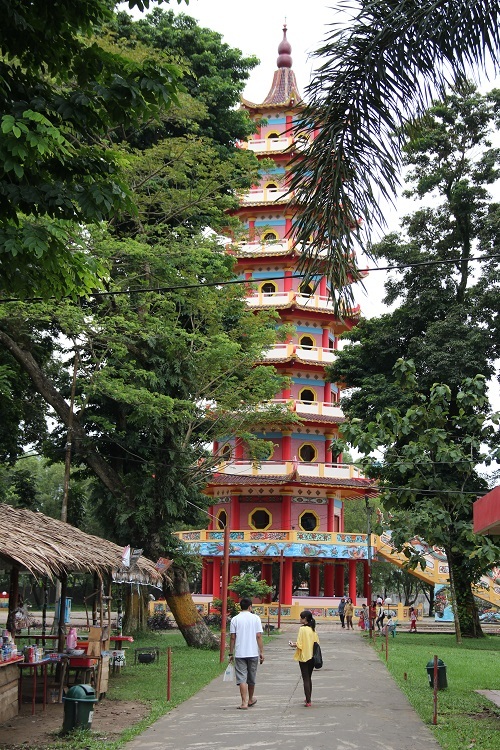 A 9-story Chinese pagoda, newly erected in 2006, sits in the middle of Kemaro Island and serves as a main attraction for tourists, locals and Buddhist pilgrims alike. 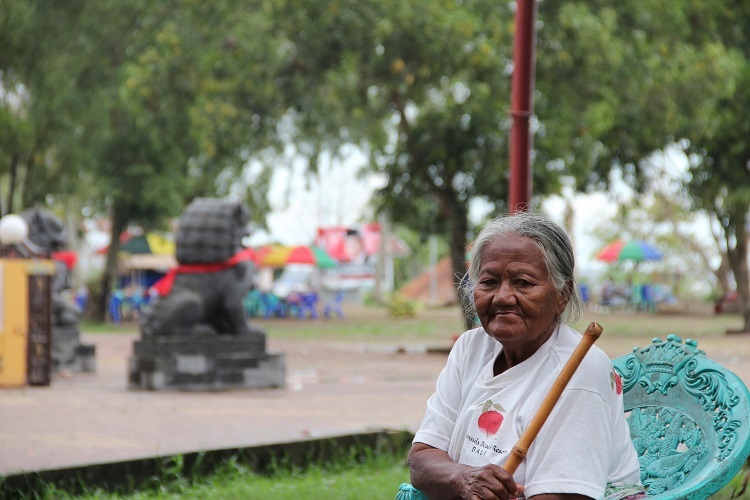 A woman sits along the lone path leading from Kemaro Island’s dock to its main temple, silently reaching her hand out for small money donations as visitors pass by. 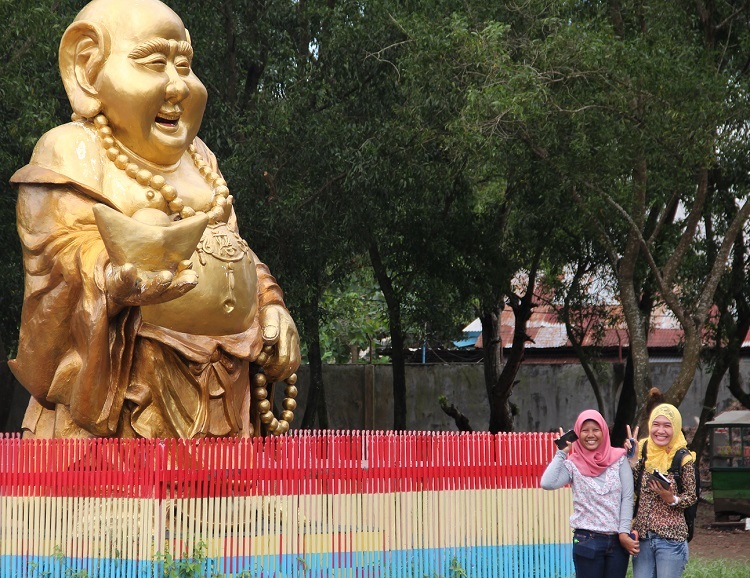 Two Muslim women pose for the camera in front of a Buddhist statue on Palembang’s Kemaro Island during Hari Raya Nyepi, a Balinese-Hindu national holiday in Indonesia. Before leaving Kemaro Island, my new friends stop for obligatory photos at the island’s main entrance. ← Survivor: Indonesia — Are we camping or stranded? 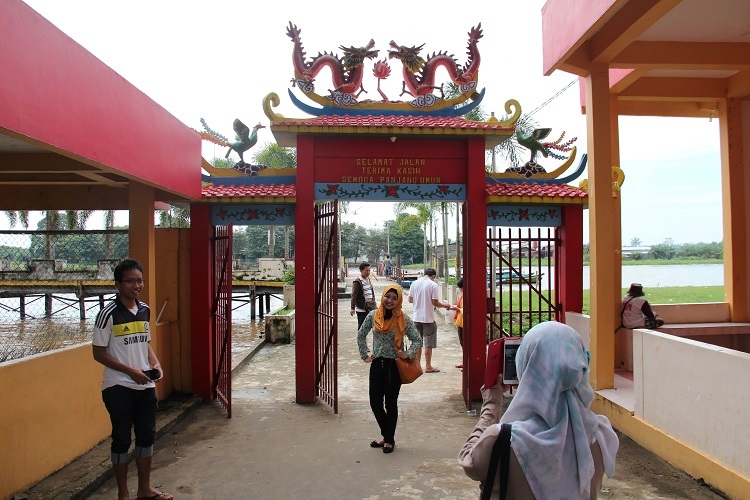 Usually Chinese-Indonesians go to Kemaro Island during the 15th day of Lunar New Year. This doesn’t have to be particularly Buddhist, it also goes to people who practice Confuciusm & Taoism, well basically it’s more to tradition and beliefs. Nowadays, more and more people go there for sight seeing, which is good to attract more people to visit South Sumatera, especially Palembang.